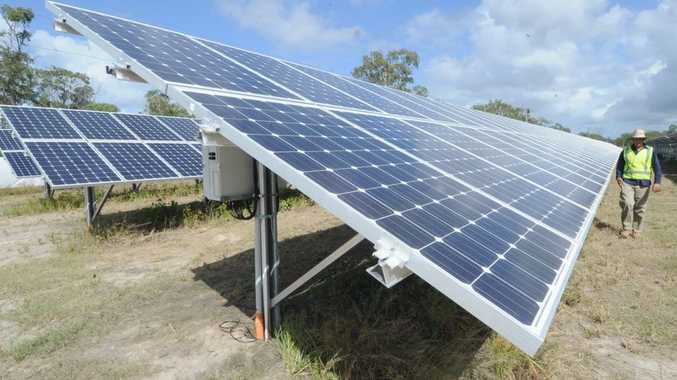 A PLAN for two solar farms and a manufacturing project has gained a huge nod from the Gladstone Region Mayor who this week wrote a letter of support to the company behind the proposal. The letter, hoped to help gain approval for the solar and manufacturing project, was a vote of confidence from Matt Burnett who said Gladstone needed to diversify its industry landscape and energy sources. Cr Burnett met the company - which he did not want to name until it gains approval - in Canberra last week during a visit for the Local Government Association Queensland meeting. He said Gladstone's desire to be a "renewable hub" had attracted the eyes and purses of "numerous" companies keen to build solar and wind projects. Arguably most excited about the solar and manufacturing proposal, Cr Burnett said it was a way to create long-term economic growth and employment. 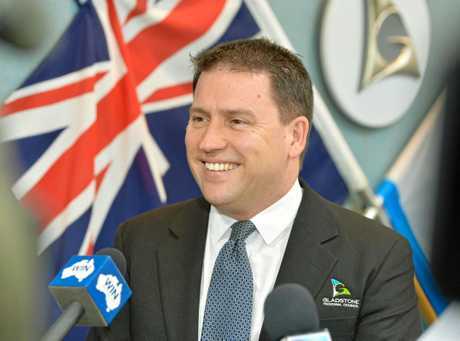 "(In ACT) they have set up a renewable energy taskforce where they set targets, they meet them, and they deliver power for that state," Cr Burnett said. "We're trying to find a way to make that happen in Gladstone. "We're not talking about changing from coal to solar, it's about diversification of our economy and energy source." Confident in the progress so far to transform Gladstone into a renewable hub, Cr Burnett said within 12 months construction would start on at least one solar farm. "I believe one of these projects will start in the next 18 months, if not in the next 12 months," he said. The projects Cr Burnett was in meetings for were not for prospective companies eyeing off Aldoga to build a 450MW renewable hub, or a proposed solar farm at Raglan. Five companies have been short listed from 16 applicants keen to transform the land at the Gladstone state Development Area. Meanwhile Eco Energy World has submitted a development application to the council to build the Raglan solar farm. The application has not been approved as more details are needed. However, the application reveals the solar farm would be built at 75 and 199 Epala Rd.